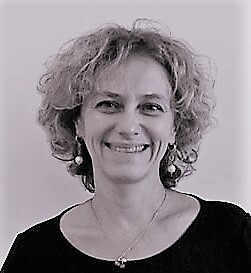 Stella received her Degree in Economics at the University of Bologna and is an expert on issues related to marketing and industrial and commercial techniques. She’s dealt with management training and coaching to enterprises in their internationalization processes since 1994. As project Manager, since 2005, she has carried out activities of design, management and animation of business aggregation projects aiming at approaching new markets or making investments abroad. She has had experience in China, India, South Africa, Libya, Morocco, Egypt, Tunisia, Turkey, Serbia, Brazil and Chile and has followed several experimental projects of training abroad and networking among enterprises for international business development. She is actively involved in teaching on topics related to New Skills and Competences of the Export Manager and Internationalization Strategies for SME’s. As a consultant, she has carried out activities for the organizational redefinition of sales offices abroad and for the enhancement of skills of those involved. Her current topics of interests and research are the strategic competences of the sales office abroad and the organizational connections that manage it.